When it comes to adding an addition to your home, there are many different things to consider. You can take it from the renovation experts at Mason Sky that the time of year is at the top of that list. There are benefits for starting a remodel during different seasons or times of the year, which we’ll explore in greater detail throughout this blog post. Trips and Vacations: Do you and your family tend to travel more during a particular season? For example, are you more likely to book a week’s vacation during the summer when the kids are out of school, or is visiting family for the holidays your tradition? Hosting Events: Are you planning on hosting any major events in the upcoming year? Would you prefer to save the construction for after the event, or would an addition make your event better? Also, do you usually host for the holidays? Do your kids seem to have more friends over during the summer? Busy Work Seasons: Are there specific times during the year that you tend to be less burdened at work, and better prepared to work around disruptions at home? Or perhaps a time when you are busier–and less likely to be home–might be your preference. Using Your Addition: Some additions, like a bathroom, might be put to constant use once they are completed. Others, however, might be enjoyed more in some seasons than others. For example, if you tend to spend a lot of time cooking or baking in the fall and winter, you might want to schedule your kitchen expansion for the spring. Now that you’ve taken some time to consider how to best fit adding an addition into your personal calendar, let’s take a look at some seasonal considerations to think about. The first few months of the year are usually colder months in the Boston area, but that doesn’t mean that it’s not the right time to add an addition to your home. If your summers tend to be busy with activities, travel, and entertaining, starting a home addition after ringing in the new year means having your project completed on time for the warm weather. Plus, winter months tend to be slower for many design+build firms, which could cut down on the overall time it takes for your addition to be finished. When the weather starts warming up, so does the remodeling industry. Along with adding an addition, many contractors are also busy with outdoor projects like bringing simple patio ideas to life, or building new sheds, decks, and other outdoor spaces. Depending on the complexity of your addition, a project started in the spring can be completed before summer is in full swing. Contractors remain busy throughout the summer and early fall, especially as people push to have major projects completed before school starts and before the holiday season begins. If your summers tend to be more relaxed, then this might be just the right time for your remodel. Summers are also a great time for adding an addition to your home as you can take advantage of cooking outdoors on the grill. If there was ever a perfect time to finish that unfinished basement playroom, the time would be in summer or fall before the cold weather begins. When the back-to-school sales are over and everyone is back to their regular schedules, you may find that winter is the perfect time for your remodel. There’s typically a bit of a rush to complete remodeling projects in time for the holidays, after which remodeling companies tend to slow down. If you do not celebrate winter holidays, or someone else hosts the holiday events, the end of the year is a great time to take advantage of this slower season. 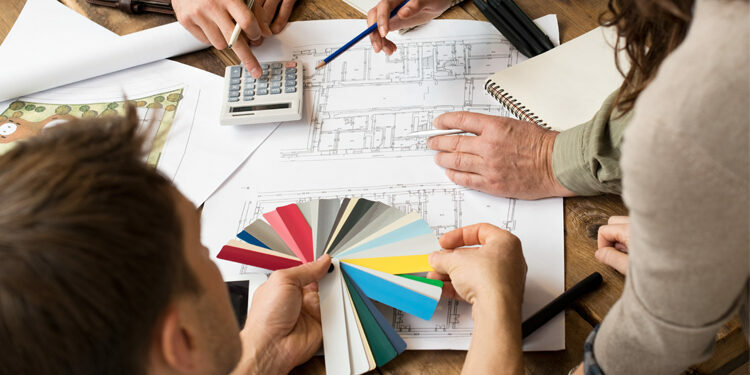 When trying to decide on the right time to add an addition to your home, the simple answer is the best time is one that makes sense for you and your family. Whether you’re looking to add a bedroom for a new addition to the family, or expanding your kitchen so you can entertain with plenty of room, it’s your schedule that matters the most. If you’re thinking about remodeling your home, then feel free to reach out to us for guidance. We’re always happy to help.